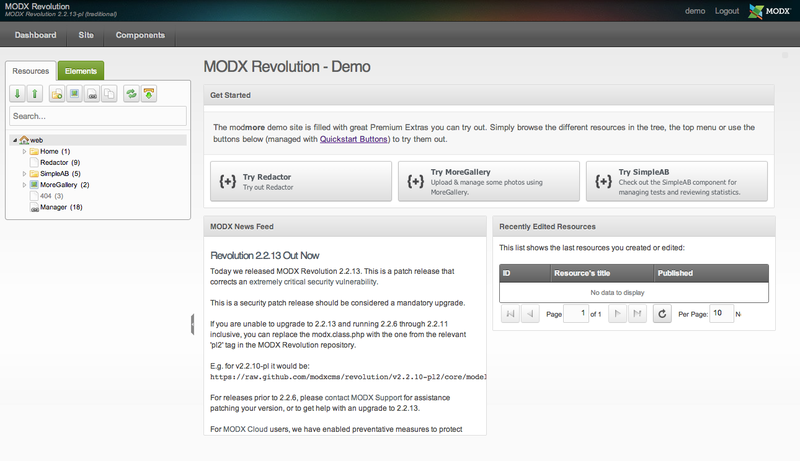 Back in 2013, Christian Seel published a blog post about Customising your MODX Dashboard. It introduced big buttons on the manager homepage which provides nifty shortcuts to important actions that site editors can take. This technique has since been used by many people to bring an extra user-friendly touch to their site builds. Using the free Quickstart Buttons extra, developed by Bert Oost for modmore, you can now set up your dashboard buttons faster than ever. Documentation and stuff like that is in the works.